Osaro promised in 2016 to create advanced intelligent robotics software solutions for large scale, commercial use cases by applying its proprietary AI technology. Today, Osaro is delivering on that promise by expanding the scope of their deep reinforcement learning platform to the food industry with its latest solution, Osaro FoodPick. In collaboration with DENSO Robotics, and in consultation with Innotech Corporation, Osaro is proud to publicly unveil FoodPick, which performs automated food assembly tasks using deep learning and other AI and robotics techniques. This long sought-after solution is now a reality and on display at DENSO WAVE’s booth at FOOMA JAPAN 2018. To drive this development, Osaro has partnered with DENSO WAVE , a producer of automated data capturing products and industrial robots headquartered in Agui, Japan. This collaboration combines DENSO Robotics, and Osaro’s artificial intelligence specifically designed for automating non-uniform food assembly. Osaro’s system has the ability to reduce labor requirements, minimize energy consumption, ensure safety, and maximum returns for the food machine industry. Without sacrificing speed, accuracy, or flexibility, Osaro has successfully achieved a new food system delicate enough to pick and place karaage chicken into a bento box. It is able to consistently assemble non-uniform items in a beautiful manner. 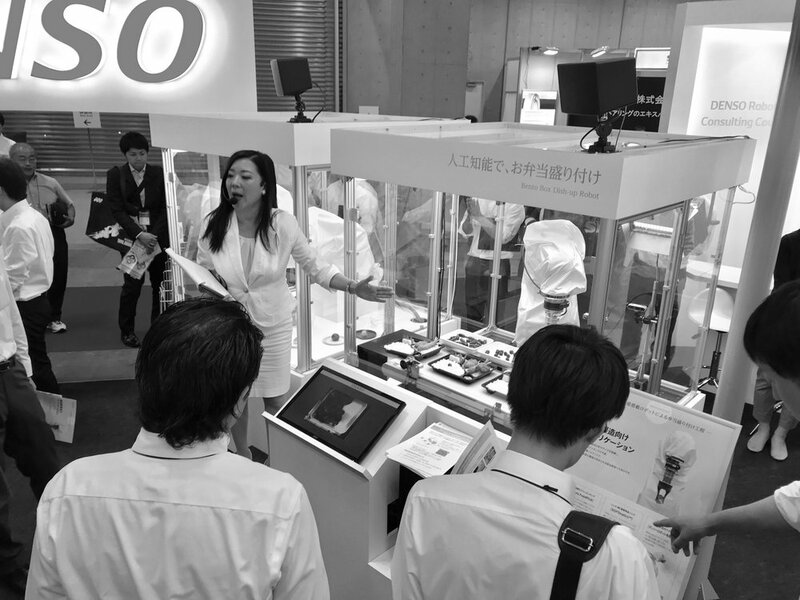 The Osaro team behind this new software is excited for the opportunity to showcase their work at FOOMA JAPAN 2018, an international food machinery and technology exhibition running from June 12-15 in Tokyo. Osaro personnel will be available for meetings at DENSO WAVE’s booth: 6T-23 at the Tokyo Big Sight exhibition center. Osaro is also pleased to announce the successful deployment of its technologies at Innotech’s Yokohama headquarters, recent deployment earlier this spring marked a milestone in an ongoing partnership between Osaro and the electronics corporation. Osaro plans to continue to work with Innotech to introduce further sophistications to its picking system, including improvements in classifying error instances, 6D picking and enhancing accuracy even with the most challenging goods. Innotech is currently accepting meetings to privately demo Osaro’s technology with companies serious about investing in AI automation, especially in the food assembly and e-commerce logistics sectors. Osaro is a San Francisco based machine learning company offering integrated perception and control software for industrial scale robotic deployments (ASRS systems, auto manufacturing, food prep, ecommerce, etc). The company’s vision and control software solutions incorporate deep learning, reinforcement learning, sensor fusion, motion planning and other techniques. Osaro is focused on deployable functionality compatible with various robots and sensors. The company’s cloud-based data and GPU infrastructure is designed for the most flexible intelligent picking system on the market. Osaro began deploying its first solution OsaroPick, which integrates with e-commerce automated storage and retrieval systems, in Japan in early 2018. DENSO WAVE is a subsidiary of DENSO that focuses on automatic identification & data capture, industrial robots, and industrial controllers for manufacturers. 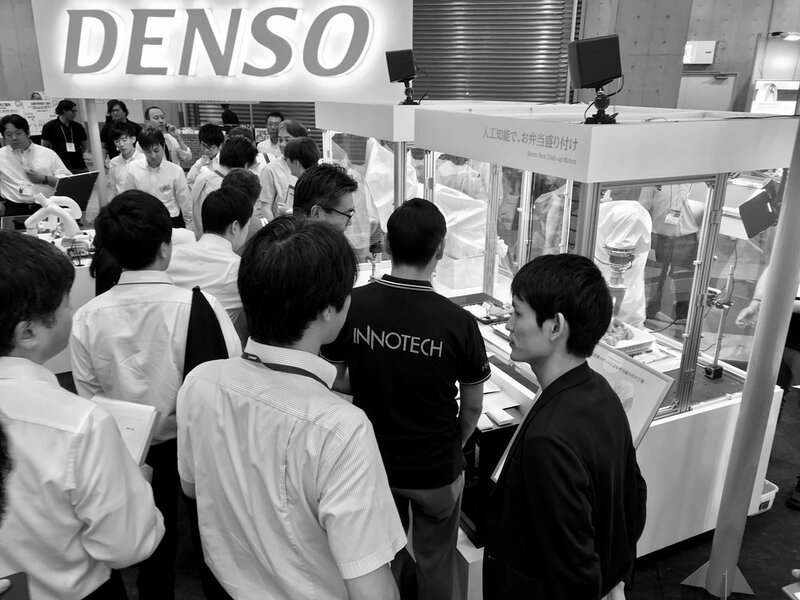 The parent company, DENSO is one of the largest global automotive suppliers of advanced technology, systems and components.